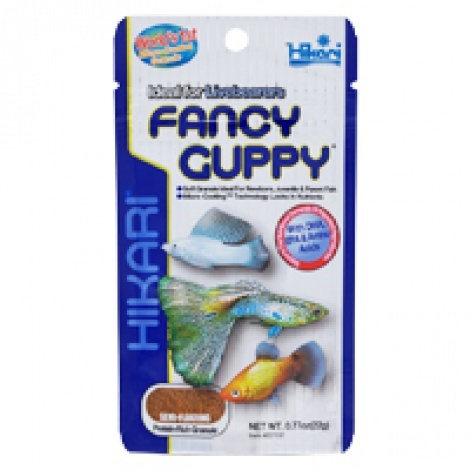 Fancy guppy is a pellet that becomes soft quickly yet does not dissolve in water. This highly palatable diet is one your fish will eagerly devour. The ingredients encapsulated in each pellet guarantees your pet will get the nutrient mix they need for proper health. Includes krill a natural source of astaxanthin which is easily synthesized and promotes vibrant color. 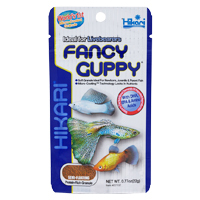 Contains seaweed a natural source of iodine which supports reproduction in guppies.